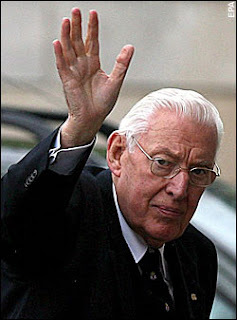 Ian Paisley has announced his intention to retire as leader of the DUP and Northern Ireland First Minister in May. Paisley has led a very checkered life, let us not forget how his politics has destroyed many lives and brought so much pain and heartache to Ireland. His determination to never share power has led us many times to the abyss. His later day conversion to peaceful leader was very welcome but for many it came too late. As another right wing lunatic once remarked "all political careers end in failure".